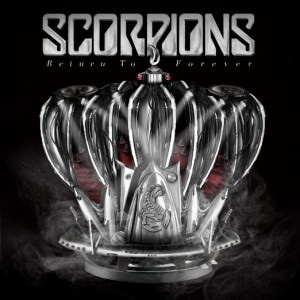 Lately I have been listening to Return to Forever, the 20th album by German rock band Scorpions, which was released recently. Scorpions Were formed in 1965 in Hannover, Germany, and their musical style has ranged from hard rock to heavy metal. The band’s constant member is guitarist Rudolf Schenker, although Klaus Meine has been the lead singer for all of their studio albums and guitarist Matthias Jabs has been a consistent member since 1979. They currently comprise of Klaus Meine – lead vocals, Matthias Jabs – lead guitars, backing vocals, Rudolf Schenker – rhythm guitars, backing vocals, Paweł Mąciwoda – bass guitar, backing vocals, James Kottak – drums, backing vocals. Scorpions are known for their 1980s rock anthem “Rock You Like a Hurricane” and many singles, such as “No One Like You”, “Send Me an Angel”, “Still Loving You”, “Wind of Change”, “Walking on the Edge”, “Media Overkill” and “Need your love”. Albums include Blackout, Savage Amusement, Comeblack. Scorpions were ranked number 46 on VH1’s Greatest Artists of Hard Rock program and “Rock You Like a Hurricane” is also number 18 on VH1’s list of the 100 Greatest Hard Rock Songs. They are one of the world’s all time best-selling acts, with reported sales of 75 million records worldwide and Return to Forever is a really rocking album. Here is the track-listing for the Deluxe edition. French racing driver Alain Prost, OBE, Chevalier de la Légion d’honneur, who was born 24th February 1955 in Lorette, Loire. He is A highly successful four-time Formula One Drivers’ Champion, Having won the World Championship in 1985; 1986; 1989 & 1993 Prost has won more titles than any driver except for Juan Manuel Fangio (five championships), and Michael Schumacher (seven championships). From 1987 until 2001 Prost held the record for most Grand Prix victories. Schumacher surpassed Prost’s total of 51 victories at the 2001 Belgian Grand Prix. In 1999, Prost received the World Sports Awards of the Century in the motor sport category. The influence of these books was widespread. W. H. Auden praised the collection, during World War II, as one of the founding works of Western culture. The tales themselves have been put to many uses. The Nazis praised them as folkish tales showing children with sound racial instincts seeking racially pure marriage partners, and so strongly that the Allied forces warned against them; for instance, Cinderella with the heroine as racially pure, the stepmother as an alien, and the prince with an unspoiled instinct being able to distinguish. Writers who have written about the Holocaust have combined the tales with their memoirs, as Jane Yolen in her Briar Rose.The work of the Brothers Grimm influenced other collectors, both inspiring them to collect tales and leading them to similarly believe, in a spirit of romantic nationalism, that the fairy tales of a country were particularly representative of it, to the neglect of cross-cultural influence. Among those influenced were the Russian Alexander Afanasyev, the Norwegians Peter Christen Asbjørnsen and Jørgen Moe, the English Joseph Jacobs, and Jeremiah Curtin, an American who collected Irish tales.There was not always a pleased reaction to their collection. 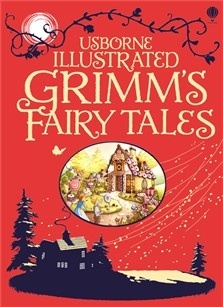 Joseph Jacobs was in part inspired by his complaint that English children did not read English fairy tales; in his own words, “What Perrault began, the Grimms completed”. Three individual works of Wilhelm Grimm include Altdänische Heldenlieder, Balladen und Märchen (‘Old Danish Heroic Lays, Ballads, and Folktales’) in 1811, Über deutsche Runen (‘On German Runes’) in 1821, and Die deutsche Heldensage (‘The German Heroic Legend’) in 1829. Sadly Wilhelm Grimm, passed away on 16th December 1859. The Newcomen engine held its place without material change for about three-quarters of a century, spreading gradually to more and more areas of the UK and to mainland Europe. At first brass cylinders had been used but these were expensive and limited in size. New iron casting techniques pioneered by the Coalbrookdale Company in the 1720s allowed bigger and bigger cylinders to be used, up to about 6 feet (1.8 m) in diameter by the 1760s, and experience gradually led to better construction and minor refinements in layout. Its mechanical details were much improved by John Smeaton, who built many large engines of this type in the early 1770s; his improvements were rapidly adopted. By 1775 about 600 Newcomen engines had been built, although many of these had worn out before then, and been abandoned or replaced.The Newcomen Engine was by no means an efficient machine, although it was probably as complicated as engineering and materials techniques of the early eighteenth century could support. Much heat was lost when condensing the steam, as this cooled the cylinder. This did not matter unduly at a colliery, where unsaleable small coal (slack) was available, but significantly increased the mining costs where coal was not readily available, as in Cornwall. Therefore, Newcomen’s engine was gradually replaced after 1775 in areas where coal was expensive (especially in Cornwall) by an improved design, invented by James Watt, in which the steam was condensed in a separate condenser. The Watt steam engine, aided by better engineering techniques including Wilkinson’s boring machine, was much more fuel efficient, enabling Watt and his partner Matthew Boulton to collect substantial royalties based on the fuel saved.Watt subsequently made other improvements, including the double-acting engine, where both the up and down strokes were power strokes. These were especially suitable for driving textile mills, and many Watt engines were employed in these industries. At first attempts to drive machinery by Newcomen engines had mixed success, as the single power stroke produced a jerky motion, but use of flywheels and better engineering largely overcame these problems. By 1800, hundreds of non-Watt rotary engines had been built, especially in collieries and ironworks where irregular motion was not a problem but also in textile mills. Despite Watt’s improvements, Common Engines (as they were then known) remained in use for a considerable time, and many more Newcomen engines than Watt ones were built even during the period of Watt’s patent (up to 1800), as they were cheaper and less complicated: of over 2,200 engines built in the eighteenth century, only about 450 were Watt engines. Elements of Watt’s design, especially the Separate Condenser, were incorporated in many “pirate” engines. Even after 1800 Newcomen type engines continued to be built and condensers were added routinely to these. They were also commonly retro-fitted to existing Newcomen engines (the so-called “pickle-pot” condenser).